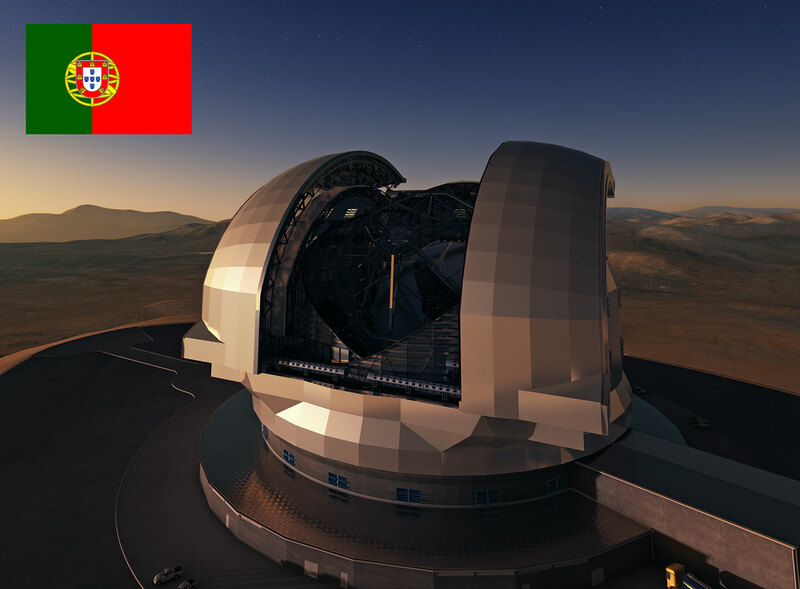 Representatives of the Portuguese government have confirmed today that their country will join the list of participants in the ESO European Extremely Large Telescope (E-ELT) programme. Thirteen ESO Member States have now confirmed their full participation in what will be the leading project in ground-based astronomy in future decades. Portugal joined ESO in June 2000 and its membership was ratified by the Portuguese Parliament in May 2001. Portugal’s additional contribution to the E-ELT is valued at a total of about 5.1 million euros over the ten years of construction. The E-ELT is considered to be one of the highest priorities in ground-based astronomy in Europe and one of ESO’s main projects for the upcoming decades. It is expected to allow astronomers to make great advances in astrophysical knowledge, through detailed studies of the first objects in the Universe, planets orbiting other stars, supermassive black holes, and the nature and distribution of the dark matter and dark energy that dominate the Universe. The construction of the E-ELT is scheduled to begin in late 2013, with first light expected about ten years later.